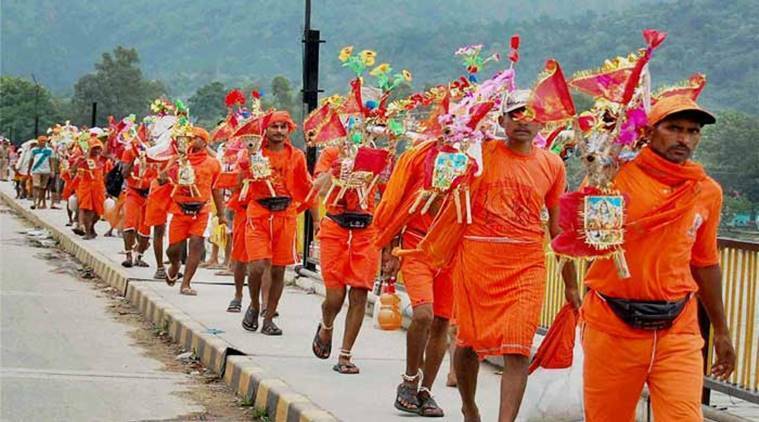 Kawad Yatra 2018 Jal Date and Time: During the holy month of Savana, millions of pilgrims carry the auspicious Ganga water to worship Lord Shiva and start their journey of Kanwar Yatra. Millions of saffron clad devotees, popularly known as “kanwariyas”, collect the Ganga Jal from Hindu pilgrimage centres and proceed to the temples of Lord Shiva to offer the holy water. As per Hindu puranas, the history of Kanwar yatra is associated with Samudra Manthan — the churning of ocean by the Gods (Dev) and the devils (Asura) — which helped to remove the poison out of the ocean. To protect everyone else, Lord Shiva consumed that poison and his throat turned blue. From then on, he was known as ‘Neel Kantha’. To reduce the impact of the poison, the devas poured Ganga water over Lord Shiva to cool off his throat. All schools and colleges of Ghaziabad in Delhi NCR will be closed from August 6 to 9 due to the journey of Kannur. Along with schools, wine shops falling on the Kaward road will be closed from August 7 to 9. The day of Shravan Shivratri is considered to be the best day to offer the Gangajal to Lord Shiva. It will be observed on August 9 this year and the shubh muhurta for the Shivratri puja is from 00:05am to 00:48am on the night of Shivratri. Devotees offer the Ganga Jal, Bel Patra, milk or panchamrit (a mixture of milk, curd, ghee, honey, and the Ganga Jal). On the next day after sunrise, the devotees break their fast on the day of Shivratri.